The DACC Law Enforcement Program is located at the Delaware Area Career Center South Campus on U.S. Route 23. The Delaware Area Career Center Ohio Peace Officer Training Academy is accepting applications for its nine-month course and has now partnered with Ohio Means Jobs to offer loans for students. Alicia Mowry, the public relations supervisor at the DACC, said Tuesday that the implementation of the loan program aims to help people making a career change to law enforcement. Mowry said the DACC partnered with Ohio Means Jobs to create a low interest loan that doesn’t accrue interest until six months after the completion of the program. Mowry said after the six-month period, the loan will begin accruing 4 percent interest. She added students who take the loan have six-and-a-half years to pay it off, and the loan is not based on credit worthiness. The loan can be for up to $5,700 per person, and no interest or payments are due while students are in the program. Commander Rod Glazer, who heads the law enforcement program, said he believes the increased flexibility will bring more students to the program. Glazer said the DACC is currently accepting applications for its next nine-month program beginning March 6. The program runs Monday through Thursday from 6 p.m. to 10 p.m., and on Saturdays from 8 a.m. to 4:30 p.m. Glazer said there are also a handful of Sunday dates during the program. To apply for the loan, interested parties should contact the DACC’s Financial Aid Office at 740-203-3287. Applications for the law enforcement program can be filed on the DACC’s website, https://www.delawareareacc.org/adult-education/. 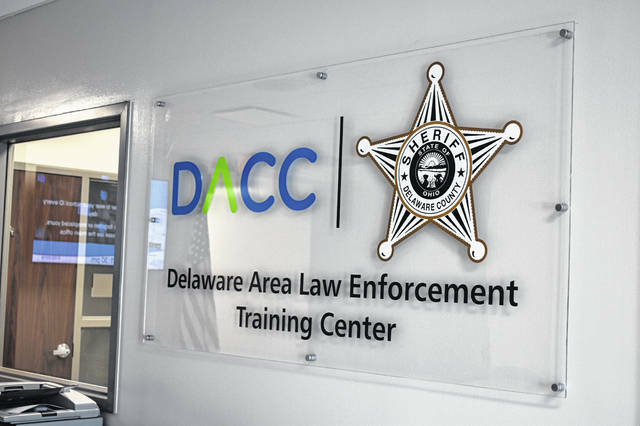 https://www.delgazette.com/wp-content/uploads/sites/40/2019/01/web1_DSC_0341.jpgThe DACC Law Enforcement Program is located at the Delaware Area Career Center South Campus on U.S. Route 23.